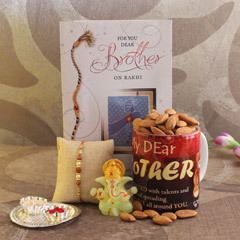 Are you thinking to put your sibling bond in words this Raksha Bandhan? 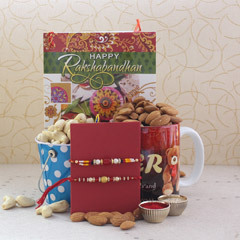 Then our Combo Rakhi with cards is definitely for you. We have a number of cards with messages varying from counting old memories to promises of loving bond in the future. Sometimes you have a message but not sure how to get that message across. 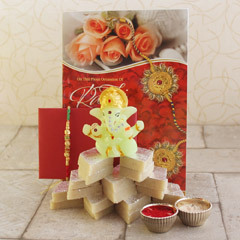 Our cards will help you get that message across on the auspicious day of Raksha Bandhan. 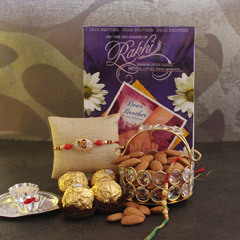 Our hand-picked Rakhi designs would make it easy for selecting the right Rakhi for your brother. Then you can combine with a personal message that adds more meaning to your gift. Our team ensures that while shopping online only the best hand-picked designed Rakhi and most relevant messaged cards are presented to you. 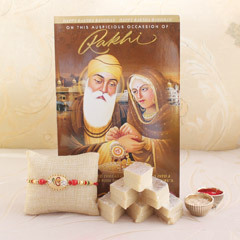 The items currently listed have been curated just for Raksha Bandhan. 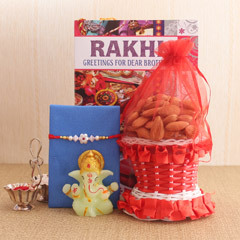 Send Rakhi assures you that your Rakhi with Card combo is delivered on time with a smile. 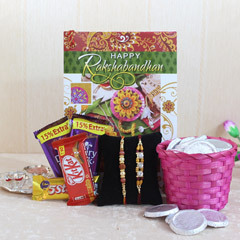 We have many satisfied customers with our high-quality products and great online Rakhi shopping experience. We offer these combos at delightful prices to make sure you get a complete value for money.